Unitygen allows server owners to define customised chest-based generator items that once placed can generate custom items defined in the configuration file. These can be sold on your store or given to players! Useful for Factions, SkyBlock and more! Highly Efficient! UnityGen uses separated user-files, clean code, async threads and more! Performance Tested! The plugin has been ensured to be as less intensive as possible! Configurable! Every user message seen can be customised to your liking! Easy to Configure! The configuration has gone through many tests to ensure it is as easy-to-understand and configure as possible! API! Developers can easily hook into UnityGen with many available methods! Custom Events! UnityGen even allows developers to set, modify or cancel its custom events! HolographicDisplays Support! Every generator can be customised with a hologram if required! Expiring Generators! 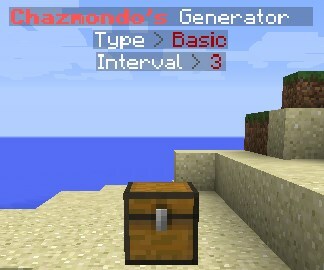 You can now create temporary generators to give to players! Supporting Clip & MvDWs PlaceholderAPI Plugins! %unitygen_usergens% - Display how many generators player has placed! Hooked into UnityGen? PM me and I'll add it here! Are you running UnityGen? PM me and I'll add your server! getPlayer() - Return Player who Placed Generator! getGenerator() - Return Tier of Placed Generator as a String! isCancelled() - Whether the event has been cancelled! setCancelled(boolean) - Sets the event whether it is cancelled or not! seaase3547, KingBoss, vinhgasd1231 và 2 người khác thích điều này.